Do you ask “quick questions?” Are they really delivered any faster than the other questions you’ve asked? Probably not. 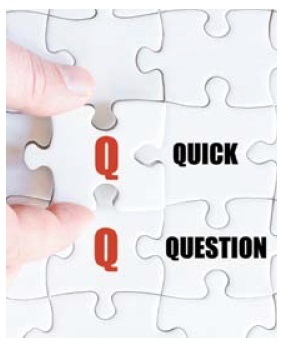 Then why do we ask a “quick question?” First of all, a quick question is really a “last question” or, simply, just “one question.” The quick question is never asked first or even in the middle of the barrage of queries. It’s last or just a standalone. There are two reasons people ask quick questions, and neither have anything to do with speed or brevity. But curiously, both have to do with the questioner being somewhat apologetic.